IDC conducted an Amazon sponsored survey of 360 mobile application developers to understand their key motivators and gather feedback on their experience developing apps for the Kindle Fire platform versus Android and iOS. According to the survey, 65% of surveyed developers say that total revenue on Kindle Fire was similar or better than on other platforms. 76% of surveyed developers say that Amazon helps them connect to new customer segments. IDC asked developers who currently build apps for the Kindle Fire to describe the return-on-investment profile of Kindle Fire and compare it to other platforms. 65% of the surveyed developers also say that the Total Revenue achieved on the Kindle Fire is similar to, or even better that, what they experience with other major platforms. 74% of the same developers say that Average Revenue per App/User is similar to or better than other platforms. 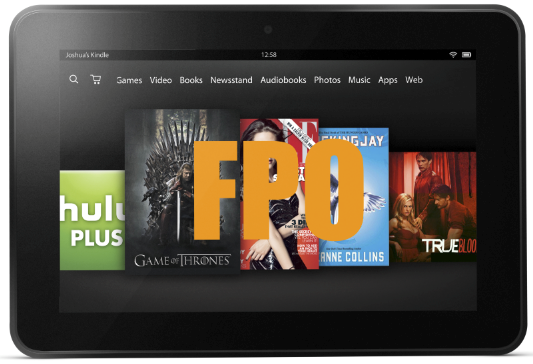 The Kindle Fire platform can be a significant source of net new business and “reach” for developers at a time when new segments may be difficult to find on competing platforms. To learn more, click here to download The Case for Developing Mobile Apps for the Amazon Appstore and Kindle Fire report prepared for Amazon by IDC. With the release of the latest version of the Amazon Appstore for Android, customers using the Amazon Appstore on Android tablets and phones have more ways to discover and purchase apps. 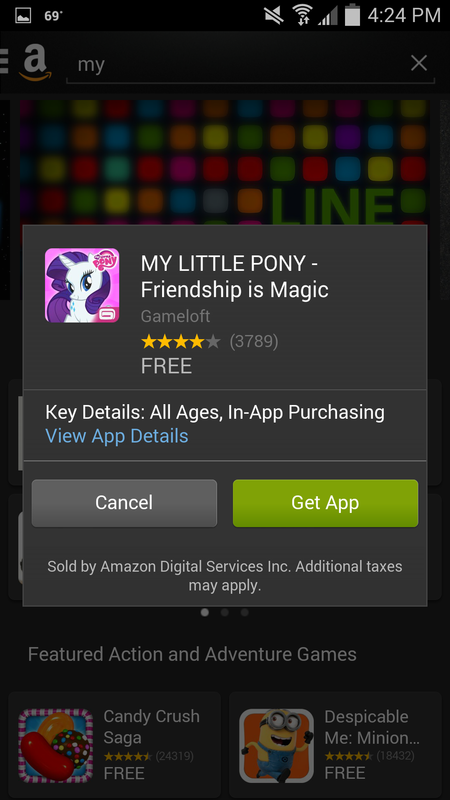 Amazon Coins can be purchased directly inside the Amazon Appstore for Android. Customers save up to 10% on apps, games and in-app items by purchasing Amazon Coins. Customers are shown their current Coins balance at the top of the screen as well as during checkout. Any of your apps or games that reward Amazon Coins when purchased can also be easily discovered in the Amazon Appstore for Android. 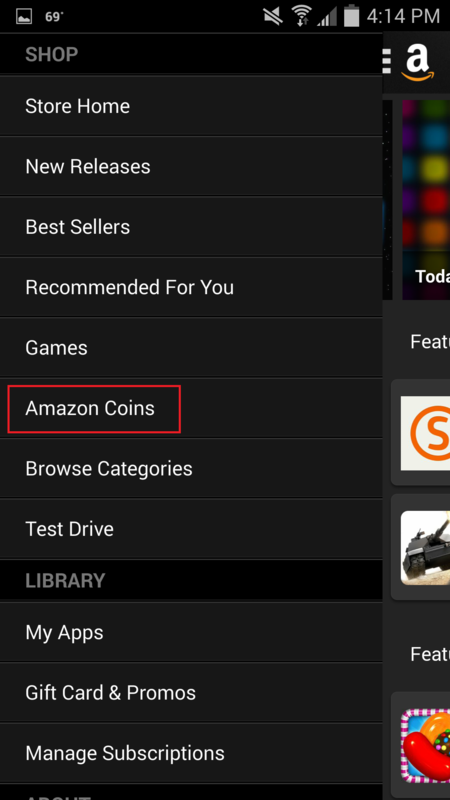 Customers can search only for those apps and games that reward Amazon Coins from the navigation menu. We also feature apps and games rewarding Coins directly on the home screen. 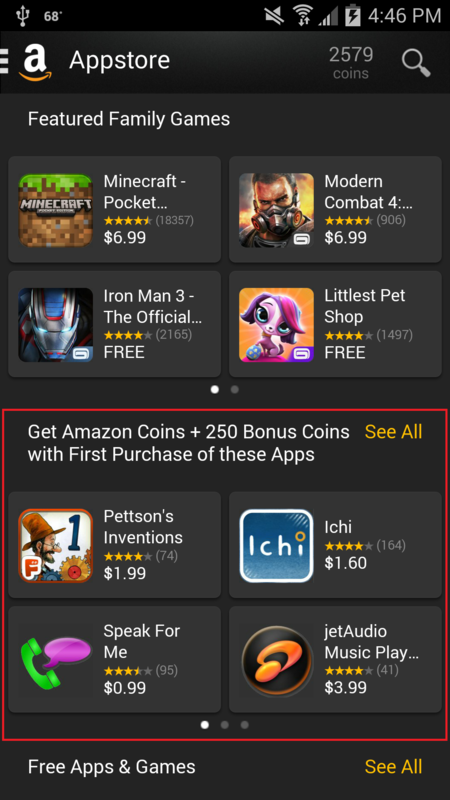 Amazon Coins are a great way for your apps to get noticed in the Amazon Appstore. As a developer with a qualified app in the Appstore Developer Select program, customers who purchase your app will be rewarded with Amazon Coins for simply downloading your app. They can then use these Coins to buy other apps and in-app items. 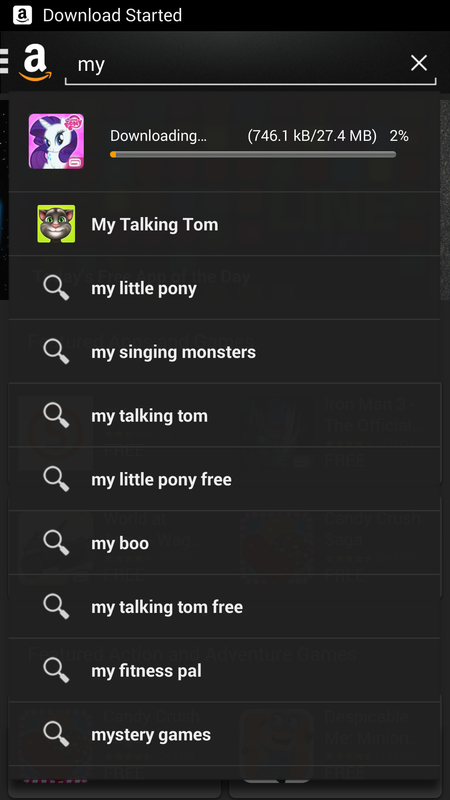 Customers now get search hints whenever they’re searching for new apps and games. The title, publisher, customer rating and price are all displayed on the search hint. 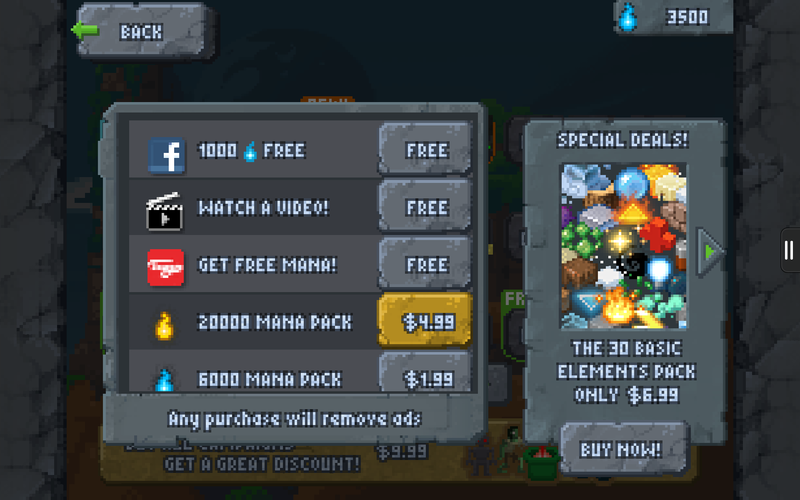 If a customer clicks on the button to make a purchase (Free or Paid), then more details about the app or game will be displayed, along with a “Get App” button that allows customers to immediately download your app or game. With the Amazon Appstore, customers can purchase your apps and games from a web browser, Kindle Fire tablets, Amazon Fire TV and select Android devices. 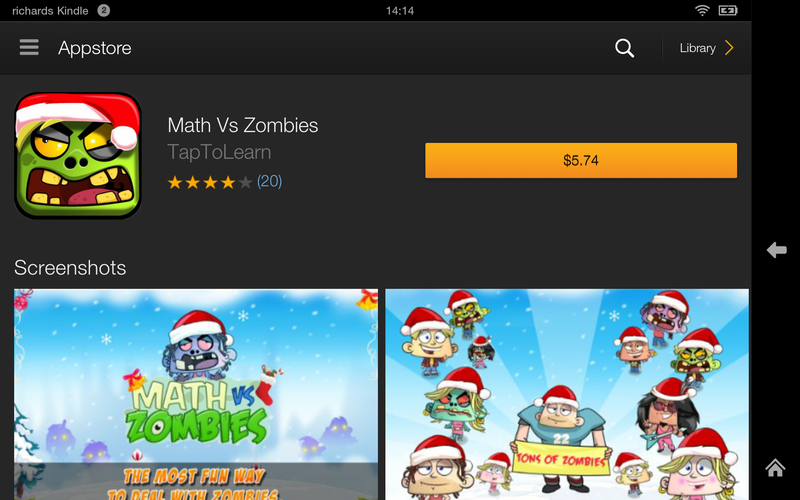 Customers can find your apps and games in a variety of ways inside the Amazon Appstore. If you have not submitted your Android app yet to the Amazon Appstore, registration is free and simple to complete and over 75% of Android tablets we tested work on Kindle Fire devices with no additional development required. Amazon also offers a free Mobile App SDK that supports In App Purchasing, Mobile Ads, A/B Testing, Analytics and more. Once your app is in the Amazon Appstore you can expand your reach to Kindle Fire and Amazon Fire TV devices at any time directly from within the developer console. 75% of Android tablet apps we tested work on Kindle Fire, with no added development necessary. And with apps available in almost 200 countries and strong monetization potential, there hasn’t been a better time to try the Amazon Appstore. Sign up for a free developer account and get started. Check out the full Business Insider report here. Responsive Game Design: Making Games that Scale Across Desktop, Mobile and TV. Gone are the days where you can make a game and publish it to a single platform and expect to be successful. Like any business that sells consumer products, you need to go where the people are. That means the games you make should run on a multitude of different platforms and accept any number of different input types. There’s also one more catch: your players expect to be able to share their game data across all of these different platforms, especially if they are paying for your game multiple times. With that in mind I have outlined what I call “responsive game design,” which is modeled loosely after some of the core concepts of responsive web design. It’s also a framework that will help you think about enabling your games to scale across multiple platforms. On the web, responsive design is a set of guidelines and best practices that help websites scale from desktop to mobile. Web developers discovered early on that it was too difficult to maintain separate designs for desktop and mobile so this solution allows a site to re-adjust to any resolution based on a set of ideal screen sizes. While responsive design on the web focused solely on adapting a site’s visual design based on common viewports, the notion of responsive game design builds on this concept to include other key aspects you need to consider when making multi-platform games. While most of these are already best practice for games in general, the collection of them represent a guideline for game designers moving forward to help reach the broadest audience possible. It’s also important to note that optimizing a game’s graphics goes well beyond just the resolution. Each system has different performance so being able to dynamically scale the game’s visual effects across these different platforms is critical as well. Especially when dealing with high pixel density displays, you could actually end up pushing incredibly high resolutions on devices that can’t fully support them. Also you may need to tone down specific special effects on mobile verses desktop or perform special optimizations when going to TV to account for slower display refresh rates. Make sure that you take into account these limitations and plan accordingly. A single game can support three types of input (mouse + keyboard, controller and touch) based on the device they are on. While thinking through each of these inputs, game designers should consider how their game will work going from desktop to tablet to phone and TV. Will the controls hold up on a system without physical buttons or should the gameplay be simplified a bit to account for the lowest common denominator? It’s completely possible to have games work with a single input mechanic but a lot of planning and consideration must go into the overall design of the game. Most devices accept a game controller at this point so while not ideal, players can still plug one in if virtual controls are too frustrating. It’s especially important to take into account that not everyone who plays your games will have access to a controller. The Fire TV ships with a remote by default so if you want to capture the largest audience possible you’ll want to make sure you support the remote out of the box. You can still publish a controller only game but keep in mind that each input limitation you place on your game shrinks your potential audience accordingly. 3. Publishing a single game from the same codebase. For years, developers had leaned on C++ as a cross platform solution to making games that work across multiple platforms. A successful port could be anything above 50% core reusability. I still know developers who build their own game engines that allow them to manually port from platform to platform but that process can be time consuming and if you are a small indie developer, the additional bug testing time may not possible to maintain across all the devices you want to support. That is why it is critical to find a cross publishing solution you feel comfortable with. The most popular game engine today for indies is Unity 3D. From there other solutions, which grow in complexity, are Unreal Engine, CryEngine. There also some smaller more specialized game engines like GameMaker Studio. If pre-built game frameworks are not your thing, consider some cross compilers like HaXe, Monkey and CocoonJS. Either way there are many options and each will have some kind of impact on your end result or the platforms you can reach so do your research while designing your game. What good is having a game that can be played on multiple platforms but the player needs to restart their progress every time? A key component to the responsive game design concept is allowing a single game session to extend across different devices allowing your player to start on one platform and continue on another. Imagine being able to play a Fire TV game at home then continuing your game on the go on any mobile device? Steam was one of the first game publishing platforms to introduce cloud based game saving and since then more companies have offered similar solutions. The biggest issue is that these services are platform specific. For a developer to support different platforms, they would have to roll their own solution. However, built into our GameCircle API is WhisperSync, which can be used to not only have cross platform leaderboards but also sync game data across different mobile devices. By adding GameCircle’s WhsperSync to your game, you can leverage this to let your players go from mobile (iOS, Android and FireOS) to the Fire TV for the full 10-foot experience then sync their game data back across all of these devices. While GameCircle doesn’t support PC syncing today, being able to have a consistent saved game mechanism for your mobile and Fire TV builds is a huge advantage for your players and a step in the right direction. While this is just the foundation for a larger concept in game design, it’s up to you as the game designer to help define and shape the future of what gaming on multiple platforms means to the player. At Amazon we are incredibly focused on the customer and we build tools to help you as the developer serve them better. Over the next few years we will see more and more games that reach across platform walls to enable a gamer to pick the device and play style they want and with the correctly designed game, that player will have the same experience no matter where they choose to play your game. For developers who are not familiar with Cordova, it is an open source solution that provides tools and templates that wrap web code and assets, allowing you to publish your web code and assets as if they were native apps. Cordova is also customizable via its plugin architecture which allows developers to extend the framework in order to access OS level APIs like the built-in contact list, as well as physical hardware on the device itself like the camera. Cordova also makes it possible for two way communication from the web app wrapper to the device’s native language. To ensure that all core Cordova plugins will be natively supported, Amazon worked with the Apache community when adding Cordova support for the Amazon Fire OS platform. Here is how to set it up on your local computer, enable Amazon Web View and create a project from scratch. You'll need to have Java installed, and the Android SDK from developer.android.com/sdk which includes the Android Developer Toolkit (adt). You may be presented with a choice of where to install the SDK, otherwise move the downloaded adt-bundle tree to wherever you store development tools. You will also need to enable Java, Ant and/or Node from the command line. Open a command prompt and type "java", then "ant" then "node". Reinstall, or append to the PATH whichever fail to run. Click on the Start menu in the lower-left corner of the desktop, right-click on Computer, then click Properties. Click Advanced System Settings in the column on the left. In the resulting dialog box, press Environment Variables. Save the value and close both dialog boxes. On Unix-like systems, you may need to append "sudo" to ensure it is installed correctly. See Cordova's documentation for the Command-Line Interface for more details. 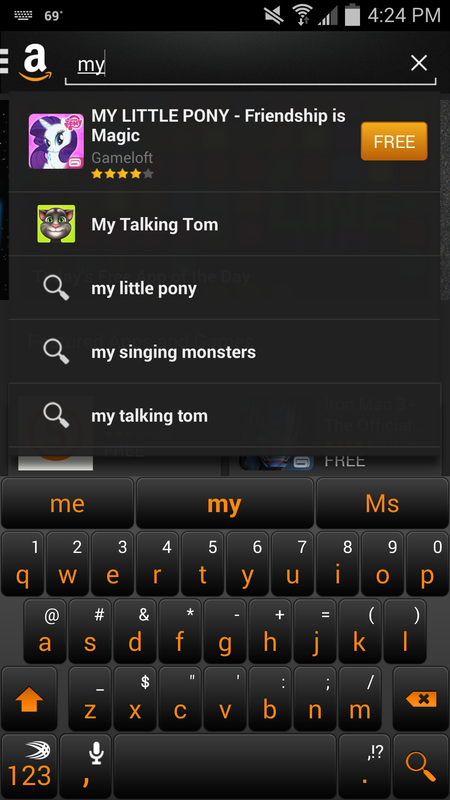 Add Amazon Fire OS platform. Change into the newly created project directory and add the files needed for the amazon-fireos platform target. 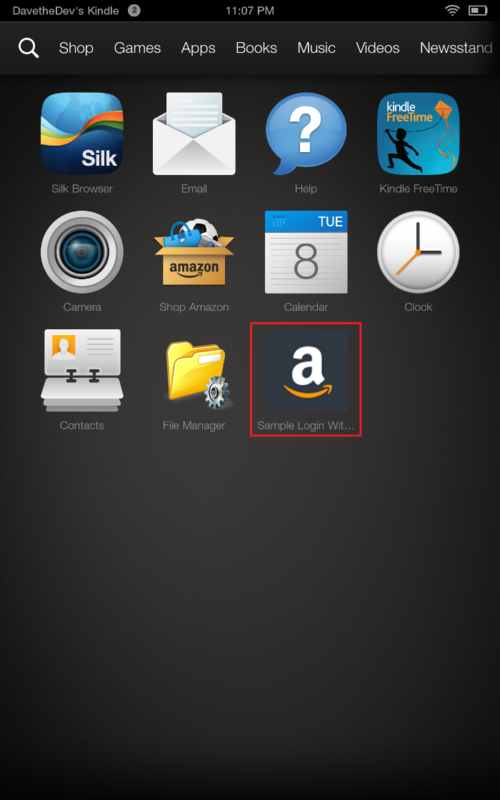 The first time you try to add the amazon-fireos platform you will be instructed add the Amazon WebView SDK. 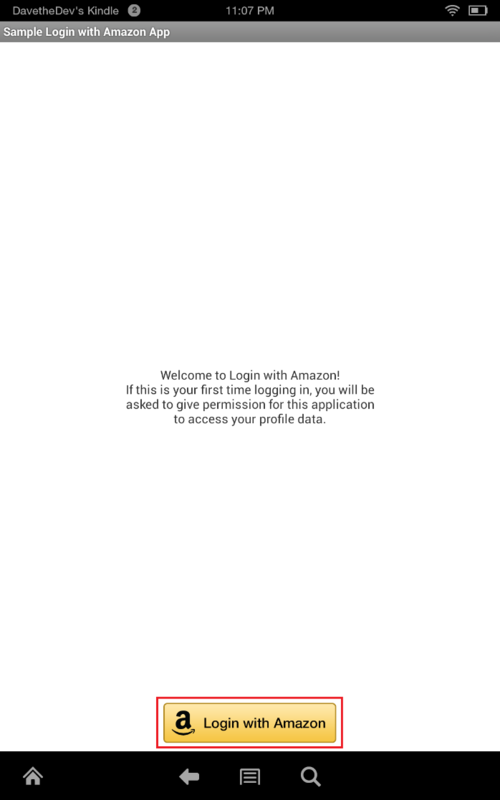 Download and extract the Amazon WebView SDK zip file from the Amazon Developer Portal. 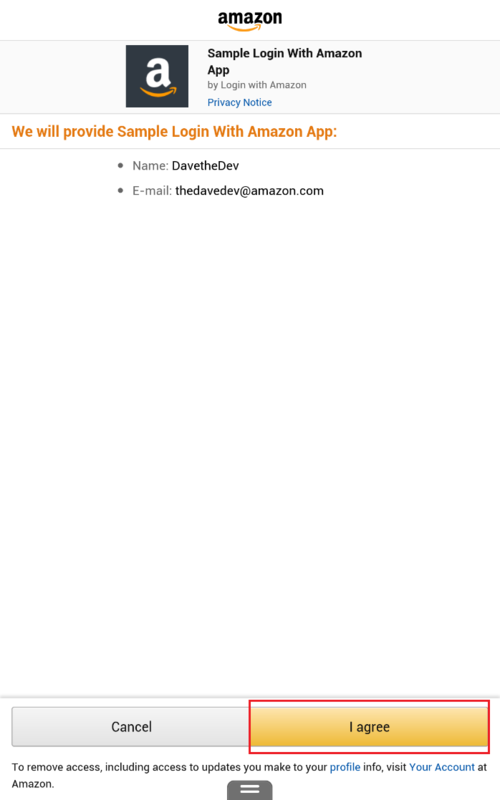 Copy awv_interface.jar from the unzipped folder into the amazon-fireos directory found in Cordova's global working directory. Note: You'll need to create the libs/ folder manually. Adding the code above will allow you to submit the app to the Amazon Appstore and target non-Kindle Fire devices as well as all Kindle Fire devices. Yes, on our birthday this year, we’d like to offer you some gifts! Before we get to the numbers, let’s take the wrapping off our present to you. Starting on March 16th we kicked off our birthday week with discounts on apps and in-app items along with some great Free App of the Day specials (FAD). Starting today and running through Saturday, we’ll offer a “Appstore Hits” FAD bundle, which is valued at over $50 and includes titles like Monopoly, POLARIS Office, Dr. Panda Airport, Swype Keyboard and more. You can find this FAD bundle at www.amazon.com/FADhits. We’re also continuing the deals and discounts we kicked off our birthday week with, where you’ll continue to find deals of up to 60% off on select apps plus amazing promotions on in-app items for titles including Wheel of Fortune from Sony Pictures, Terraria from 505 Games and Warner Bros.’ Batman: Arkham City Lockdown. As an added bonus, for a limited time, customers who buy select in-app items within great games like Asphalt 8, Animal Voyage, Kingdoms of Camelot, The Hobbit, Sonic Dash, World at Arms and Despicable Me: Minion Rush can earn up to 50% back on the purchase price in the form of Amazon Coins. Great deals will continue to run through March 29th, so check back to our store for the latest. We hope you enjoy these savings. Now on to the numbers. 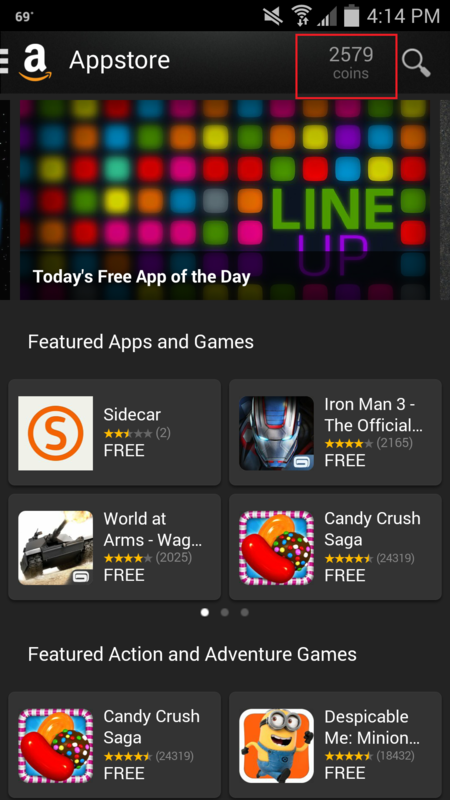 The Amazon Appstore launched on March 22, 2011 with 4,084 apps available for users of Android devices. Since that day, the Kindle Fire line of devices has launched with the Amazon Appstore, and an increasing number of mobile carriers around the world are selling Android phones with the Amazon Appstore pre-installed. Since we started three years ago, both customers and developers have seen value from programs like Free App of the Day, Amazon Coins and Appstore Developer Select. We’ve also expanded our developer services significantly and have launched services like Mobile Associates, which lets developers earn commissions on physical goods sold on Amazon.com, and A/B Testing which helps developers tweak and tune their apps in real-time. These services and others have helped developers earn more money, and we’re certainly not finished yet. Look for more innovative cross-platform programs and services in the years to come. As always at Amazon, it’s still day 1 in this business, and we’re just getting started. Keep an eye on the Free App of the Day here. You can get started on the Amazon Appstore in less time than you think. You can create a free Appstore developer account in less than 30 minutes here. 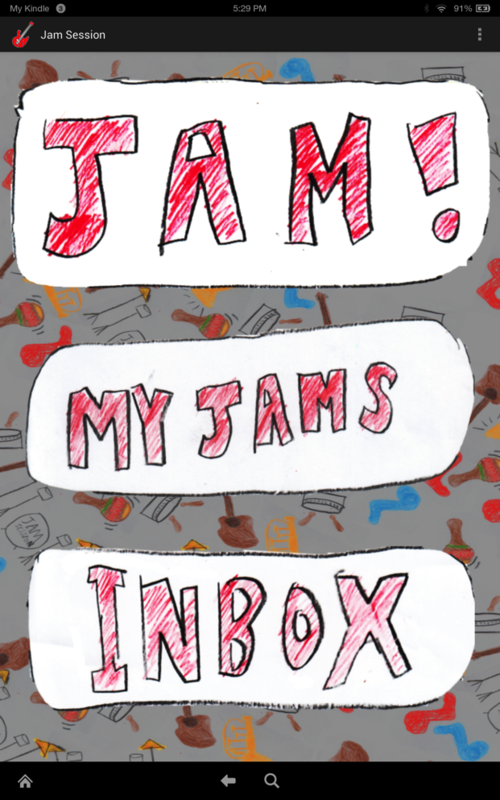 You can submit one of your existing apps in less than an hour (watch this video to learn how). Founded in 2011 Pixowl, Inc is a mobile games developer headquartered in San Francisco, CA. With the success of its four iOS games, The Sandbox, Greedy Grub, Doodle Grub and Safari Party, Pixowl has made a name for itself in casual mobile games. 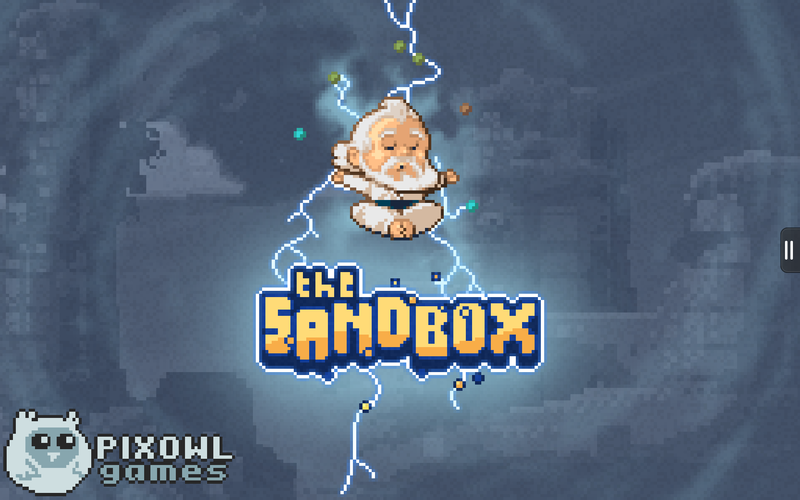 Their game, The Sandbox, is a unique world-building and crafting game in 2D with touch controls and access to over 150+ physics elements. Players can craft amazing worlds, create pixel art, chiptune music, electric circuits or just play with physics. I had a chance to sit down with Sebastien Borget, COO and Co-Founder at Pixowl and ask him about Pixowl’s experiences porting The Sandbox to the Kindle Fire, what type of success Pixowl has seen in the Amazon Appstore, and what it was like implementing many of the APIs available in the Amazon Mobile App SDK. 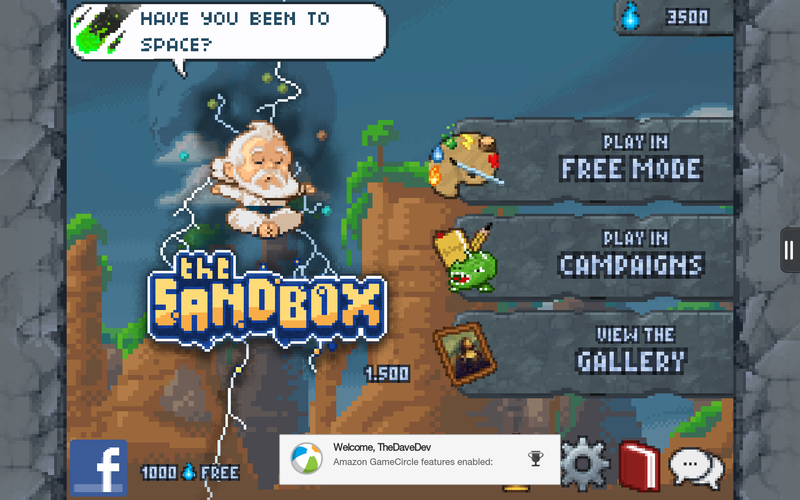 Pixowl was able to submit The Sandbox early on in the Amazon Appstore’s launch. “We were present at an event organized by Amazon UK to present other developers success stories on the Amazon Appstore. While it was still in an early stage of maturity we were really impressed by the performance the apps had already seen there. This convinced us we had to be among the early movers and adopt a cross-platform strategy fitted for each partner. Now, we couldn’t be happier about this decision as the Amazon team has held all of its promises and has been over achieving for us.” recalls Sebastien. For the Kindle Fire version of The Sandbox, Pixowl decided to integrate Amazon GameCircle allowing a more seamless experience. GameCircle is a free, cross-platform API from Amazon that provides everything you need to implement achievements, leaderboards, and saved game syncing across any device, regardless of mobile platform. Once you integrate GameCircle, customers can play and interact with other gamers across any mobile device. “For us, the decision making process was relatively easy. On a business perspective, we wanted to make sure that the platform had enough of our core audience: kids and casual players, from 5 years old to 20+ . On the technical side, we had to check what level of compatibility with existing Kindle models was, evaluate the adaptations required and make sure we could provide the best game experience on the devices.” says Sebastien. Pixowl already had an existing Android version of The Sandbox so moving to the Amazon Appstore was relatively quick. “The overall porting process took us 2 weeks maximum including development and testing. We are developing in C++ with Cocos2DX and everything worked almost seamlessly.” says Sebastien. The Sandbox follows the “freemium” monetization model; a free download to all Amazon customers the games utilizes Amazon’s In-App Purchasing API to unlock additional campaigns of level or acquire elements faster. The API offers a completely Amazon hosted checkout experience to customers and integrates fully with their Amazon account. They can choose to utilize their 1-Click purchase settings as well as Amazon Coins which now work on both Android and Kindle Fire devices. According to Pixowl the Amazon Appstore represents 5% of the total downloads volume from all Android marketplaces, but over 20% of their total Android revenues. Some days, it’s could be as high as 50%! “That’s very close to the performance we’re seeing with Apple iOS!” says Sebastien. According to Pixowl Amazon is proving that Android users can be as engaged with games as on other platforms. It made it worth Pixowl considering alternative distributions models, with a huge revenue potential. “Success is no longer determined just by the amount of downloads, but by their quality. Go for the full experience with Amazon. It’s really worth it!” says Sebastien. You can check out The Sandbox in the Amazon Appstore here. 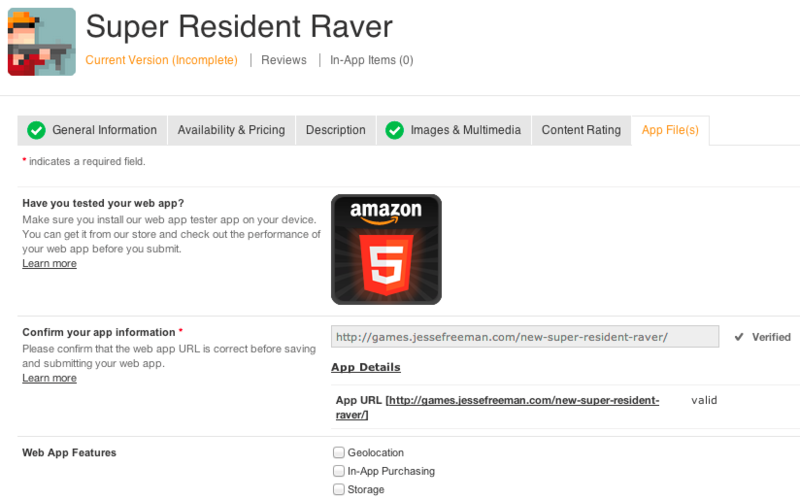 You find out more about the Amazon In-App Purchasing API here and the cross-platform GameCircle API here. If you are a developer who has had an app in our store for a while, or someone new to our platform, we encourage you to use Amazon Appstore and Kindle Fire badges and branding to help promote your app. In this article we’ll review badges, other images, links and guidelines for their use with your app and marketing. The Amazon and Kindle Fire badges above are available in English, Spanish, German, French, Italian and Japanese. The Amazon badges are also available in Portuguese. You can get full-size downloads of these badges on this page, along with some usage guidance. You can find links to those resources about half way down this page. Replace the bold “ASINnumber” with your mobile app’s ASIN (Amazon Standard Item Number) and app name. Please use an underscore (_) to separate the words in the “app_name” portion, if your title is more than one word. 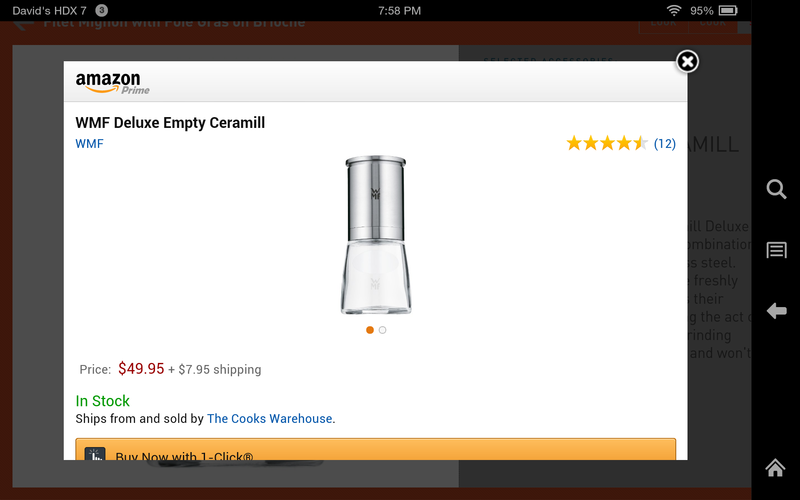 You can find the ASIN on the Product Details section of your mobile app on www.amazon.com/apps. Replace the bold portions with the package name of your APK, and app name respectively. Replace the bold portion with the package name of your APK. NOTE: With any of these link structures, please test the links before using them to make sure that they direct to the correct page or search results. The link instructions above are pretty much identical to the guidance near the bottom of this page. There is still more good stuff on the handy page I keep linking to. This includes guidelines for correct use of the Amazon Appstore trademark when blogging or using social media to promote your app. I would, of course, be remiss if I failed to mention the legal requirements listed at the bottom of the page. Our attorneys have done a good job of breaking the important points down into easily readable bullet points. Please do look at them, it won’t take long. Just in case you missed the link earlier, you can read all of this information here, on our developer portal. Kinetic Art, an Israeli startup established in 2010, is the publisher of the highly popular cooking app Look & Cook. Kinetic Art's core technology and intellectual property revolves around in-app ecommerce optimization. Recently, Kinetic Art published Look & Cook to the Amazon Appstore (download here) their first ever-Android version. I had a chance to sit down with Dudu Mimran from Kinetic Art and talk about Kinetic Art’s experience publishing on the Amazon Appstore, what it was like implementing the Amazon Mobile Associates API, and what type of success they have seen so far. 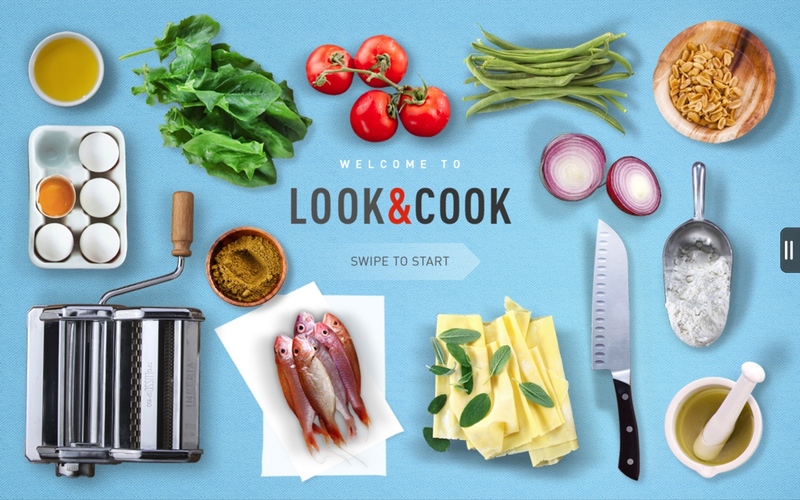 “Look and Cook is a cooking and now a shopping app, thanks to Amazon’s Mobile Associates API. We are building a platform for building cooking apps.” - Dudu Mimran. Why start with Amazon? A better user experience. Look & Cook was able to leverage Amazon to create a culinary lifestyle experience by integrating ecommerce into the food and culinary world. The current version of Look & Cook now has numerous physical goods related to the cooking of the selected recipe. “We created a small shop within each recipe. The tools that are included in the app are recommended by the recipe creator to make the recipe perfectly. In general, this is what our investors have in mind. Our main business model in the future will be ecommerce. We are not there yet, but this is a great step. We are betting everything on ecommerce and we already have purchases. People are buying for sure,” declares Dudu. 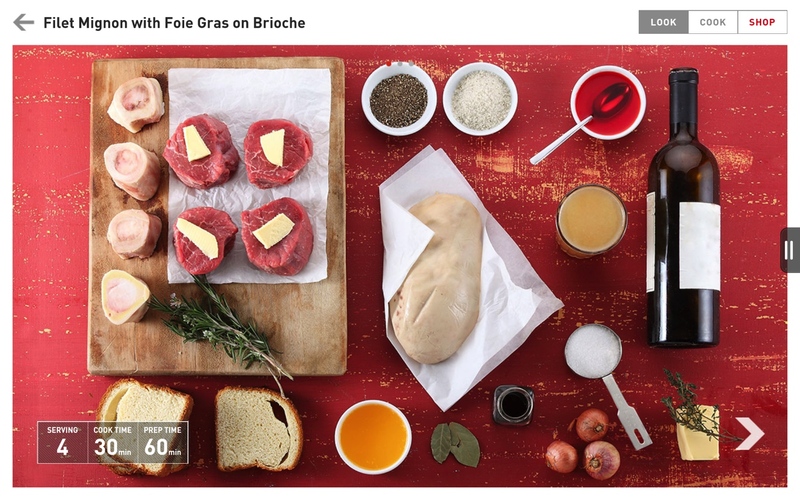 “Look and Cook is a cooking and now a shopping app, thanks to Amazon’s Mobile Associates API. 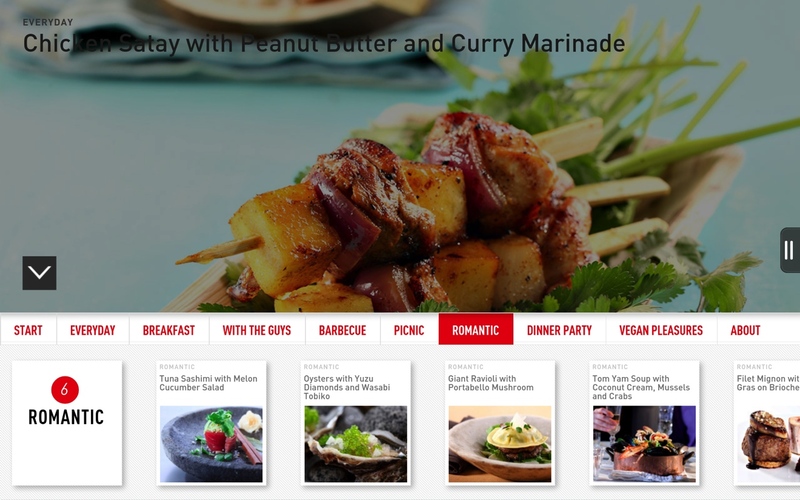 We are building a platform for building cooking apps. Amazon’s Mobile Associates API really excited us because we have always wanted to integrate ecommerce but it’s something very hard to do as a startup. Since Mobile Associates launched it has made it much easier for us. We are very happy working with Amazon,” says Dudu. Even though the team has seen a smaller number of app downloads on Amazon vs. iOS people are definitely buying goods and they have already seen differences in the behavior of customers. “We have two types of users on Amazon: those that use it on an ongoing basis and those that love it for cooking. We also see those that love it for the very first time. They are more engaged on Amazon, and if I compare the amount and depth of reviews, then totally, people are much more engaged into the app itself,” says Dudu. According to the team, once they understood the basics of integrating the API for Amazon Mobile Associates, things progressed quickly. “It was very easy, and it just works!” says Dudu. 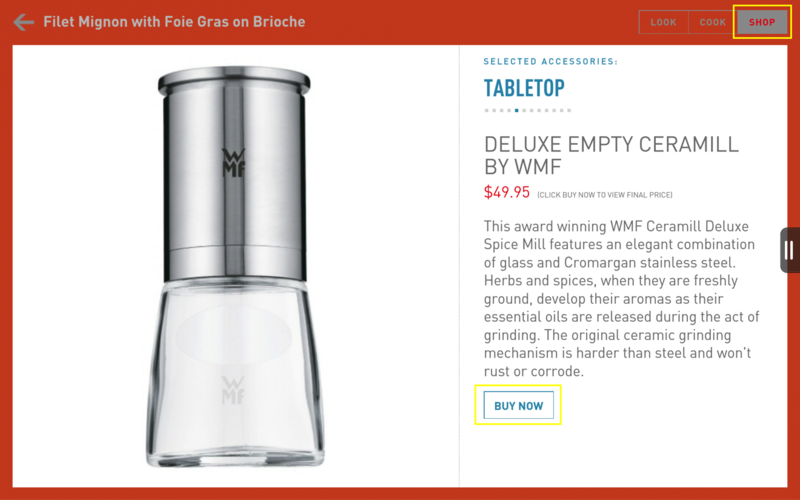 Figure 2- Tapping on Shop will bring up a physical good for that recipe you can buy with the Buy Now button. To measure success the team built a detailed level of conversion measurement. For example, they know how many people download the app, navigate through the app, navigated to an extended view, and buy products. In the future, one of the improvements will be creating greater exposure to other random products and not forcing people into the ones the app recommended. It’s too early to tell how much money the team will be making but already they are seeing purchases. “It’s less important for the number at the moment, behavior is what is very important. Really getting customers used to the behavior is important. They are not accustomed to buying within the app. Now we are working on several angles: distribution, volume of users, exposure of more products, and then quality of product and selection,” says Dudu. You can check out Look & Cook in the Amazon Appstore here and find out more about the Amazon Mobile Associates API here. Two years ago, Sean Sheedy, saw an opportunity to teach his boys more about mobile app development. 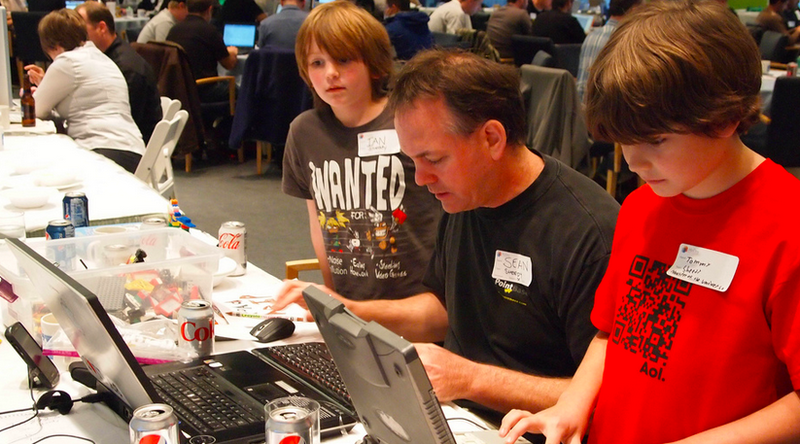 He decided to take his sons Tommy and Ian with him to MoDevEast and participate together in a hackathon. These three were our big winners from the MoDevEast competition. 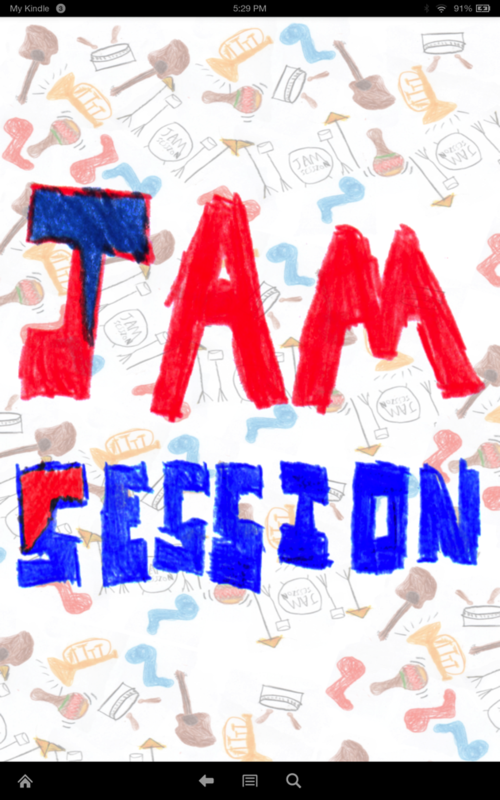 It all started out with Sean bringing paper, pens and other supplies so that the boys could help out by drawing the app’s user interface in prior MoDevEast competitions. 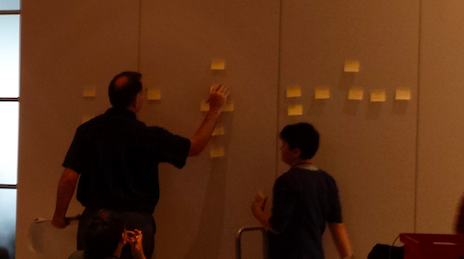 Once they came up with the user interface Sean would code whatever ideas the boys came up with. His oldest son Tommy (ten at the time) would always talk to other attendees and sponsors from the hackathon and would work alongside them. When one of the attendees gave Tommy an iOS app recipe, it wasn’t long after that Tommy had an entire app running and needless to say dad was impressed. At the recent MoDevEast 2013 conference Tommy brought his friend Devin and his Dad to the conference too, bringing the teams total membership to four. What about the Kindle development environment? Since Kindle is Android it’s just like any other Android environment using Eclipse. “In development it’s really cool that I can plug the Kindle in and it’s just like any Android device. That is REALLY nice.” says Tommy. 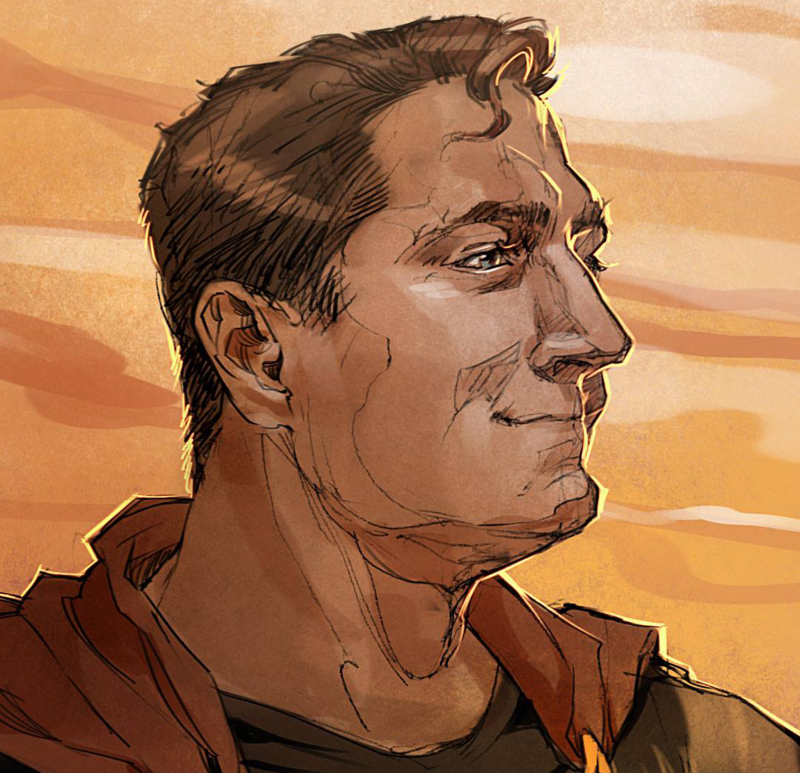 “In development, it’s really cool that I can plug the Kindle in, and it’s just like any Android device. That is REALLY nice.” - Tommy. Interested in selling Physical Goods in your Android Apps using the Amazon’s Moble Associates API that Sean mentions? Be sure to check out our Mobile Associates Blog Posts and Developer Portal for full details. Today, we’re extending Amazon Coins to all Android devices with the Amazon Appstore installed. 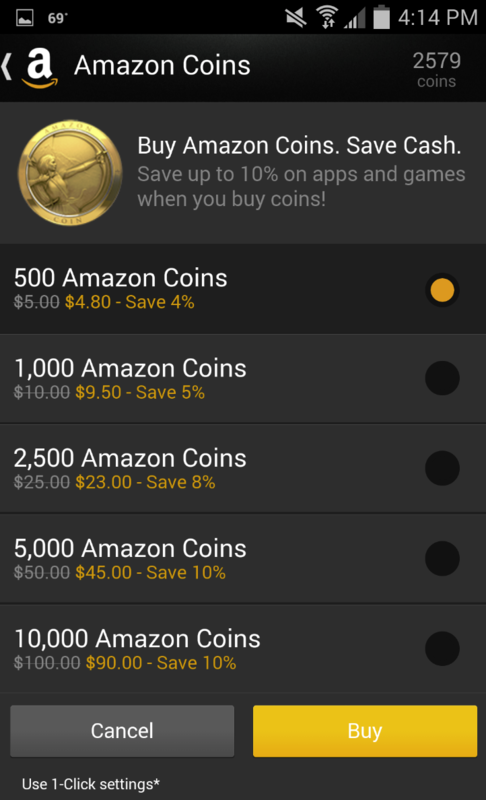 Amazon Coins is a way for Amazon Appstore customers to buy and enjoy Android apps, games, and in-app items for less. 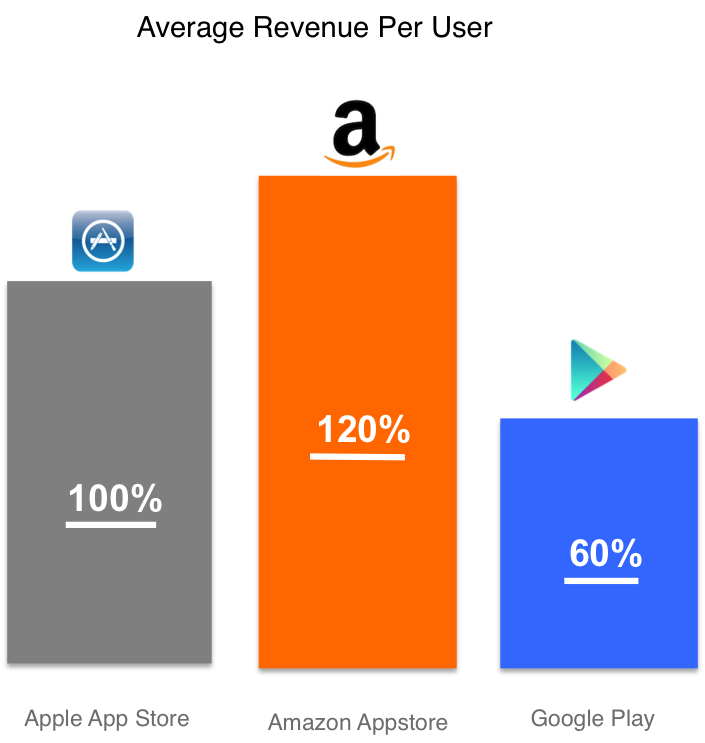 Customers can save up to 10% on apps and games by purchasing Amazon Coins, while developers continue to get their full 70% revenue share. Since the launch of Amazon Coins in the US, UK, and Germany in 2013, customers have already purchased hundreds of millions of Amazon Coins and are actively using them on Kindle Fire devices, representing real dollars to developers. Now, users of the Amazon Appstore on Android will be able to use Amazon Coins to purchase apps, games, and a broad range of in-app items on any Android device running the Amazon Appstore in the US, UK, or Germany. If a customer is already a Kindle Fire user, he or she will automatically see their existing Coins balance on their other Android devices in addition to their Kindle devices. We have already seen developers benefit from customers using their Amazon Coins to try out and explore new apps and games. Now that Coins are available to an even larger audience, you can take advantage of the opportunity by making sure your app is available on the largest number of devices. 1. In the Amazon Developer Portal, go to your app’s detail page. Under the Binary File(s) tab, check the Device Support section for “All non-Amazon Android devices…” (see sample below). 2. If your app has “All non-Amazon Android devices...” and the Kindle Fire devices listed, then you’re done! If the entry is missing “All non-Amazon Android devices...” (as shown below), you can change that. a. If you have verified that your .apk will run successfully on some (or most) other Android devices, make sure you reference supported devices in your AndroidManifest.xml file by using <compatible-screens /> or <supports-screens /> (please make sure to increment the version number of your app when you modify the manifest). b. Click Add Upcoming Version in the dev portal. While in the new ‘Upcoming Version’ section, go to the Binary File(s) tab and check all the appropriate boxes. c. Upload the .apk with the new manifest.xml, make sure the other tabs are complete (and app version number is different), and re-submit your app. 3. If your app is not available on Kinde Fire devices, you can use Amazon’s App Testing Service to get the info you need in about a minute. Just drag and drop your .apk into the tool to get your results! You can also check out common reasons for incompatibility, and check out the documentation on our dev portal. If you have any questions about Amazon Coins or device availability, please check our dev portal, or contact one of our developer support professionals.